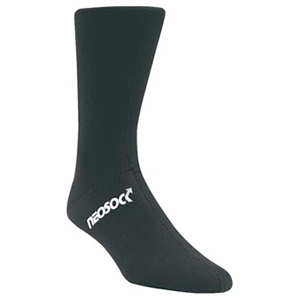 The Neosock brings the warmth of closed-cell insulation to your feet for all wet and winter activities. Its four-way stretch Neoprene, coupled with breathable macro-porous technology, helps prevent moisture build-up and seals in the heat. Ideal for skiing, waders, and canyoneering. Black/Concord Red (Reversible). Thickness: 2 mm.